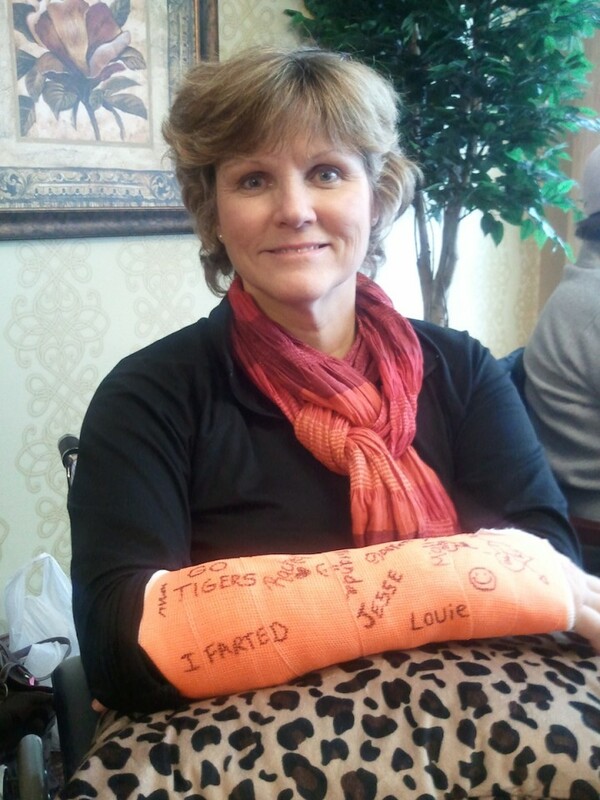 Here is my story… December 29, 2013 I slipped on the ice fracturing my right ankle in three places. I waited two weeks (on strict bed rest) for the swelling to go down before I could have surgery, which entailed 2 plates and 15 screws. Five days after my ankle surgery, I fainted at home fracturing my right wrist. I spent one month at the Deerfield Care Center before coming to OSI/The Training Room in Somerset, WI. There is where my journey began… I thank God for teaching me to trust, helping me remain positive and refusing to give into bitterness. I thank OSI/The Training Room for not allowing me to say “I can’t”, but to say “I will try.” I was in a wheelchair for three months, I wasn’t walking, could only do three leg lifts, could not do a side plank or a regular plank. Now I can do 75 leg lifts, a side plank and a 3 minute regular plank. I am walking but working very hard to perfect my walk and balance. Thanks to OSI/The Training Room I will end up a stronger person physically. Thanks to God I will always rejoice through my circumstances, whatever they may be.